Ahhh I have so much love for the prairies. That's kind of where the name "Prairie Love" came from when Rachelle and I were driving in the Colorado mountains hot off the heels of our first Wanderlust Festival. "Wanderlust will never come to Winnipeg." We both agreed. "Why don't we create our own yoga festival celebrating our community? And so, Prairie Love Festival was born. I really love the intimacy of a workshop. It's a place to reflect, learn and share. We definitely did all of those things in both of the workshops I lead over the weekend! 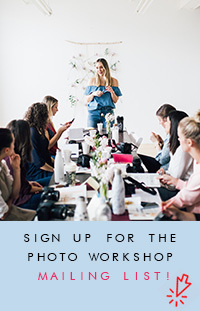 I'll be writing a separate blog post including a bunch of resources that will up your photo game as well as some behind the scenes photos from the workshop! Rachelle and I parted ways after 2014's Prairie Love Festival. I'm always so grateful that our partnership ended so well and that we're both so incredibly supportive of each other's aspirations. This year's festival was so amazing and I'm so proud of the ways she continues to support and bring together such an amazing yoga community in the prairies! She absolutely KILLED it this year! Lynette Suchar, Erica Blitz, Insiya Finn, Eoin Finn, Matt Yausie, Clancy Sullivan... The list goes on. I'm so grateful for a really amazing, global (and local!) crew of yogis that have come into my life over the past 4 years. Holy moly this lady is inspo central. I have so much respect and love for the work she does with teen girls. Alex's program, Girlvana, is kind of like girl's teen camp for the soul - where yoga and meditation principles are used to teach little ladies about self esteem and empowerment. Her stories brought me to tears. Hosted on Galliano Island, Girlvana also brings mentors into the program (something I'm hoping to be a part of in the spring) where sharing stories and experiences is at the foundation of creating trust, compassion and relationships. There's also a lot of friendship bracelet making, flower crown crafting and journalling - so like, naturally, I'm down. Alex also always has unreal playlists. Since this was the summer of Fetty - here's a remix that got me so jazzed during Ally's Hustle & Flow class!